A new survey of horse owners by supplement brand Cavalor, has revealed that a staggering 66% of horses have suffered from lameness as a result of joint disease and one-fifth of horses have been off work with the problem for a year or more. It’s not just older horses suffering from joint disease, 36% of horses developed the condition by the time they were eight years old, with the average age for the problem to start being 10 years old. 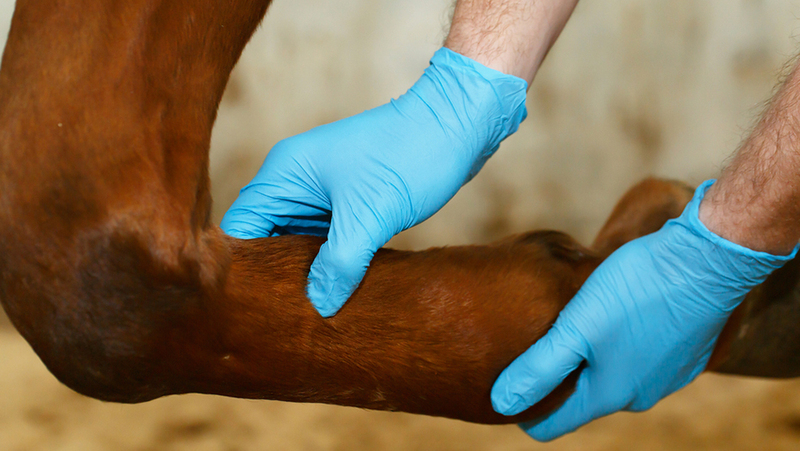 As well as the welfare implications for horses, joint problems are expensive. Over two-thirds (69%) of horses required up to five vet visits for treatment, while 21% needed as many as ten visits. Horse owners spent an average of £2,104 treating their horse’s joint condition while 5% forked out more than £7,500 on the problem. In addition, over half of those surveyed (53%) have missed up to ten competitions due to joint disease, with 17% missing more than 20 competitions. The survey revealed that joint problems are an ongoing concern for many. Seventy-six per cent of owners worry about their horse developing osteoarthritis and 30% had retired a horse earlier than expected owing to joint disease. In addition, 84% admitted that they would not buy a horse if they knew it had joint problems. 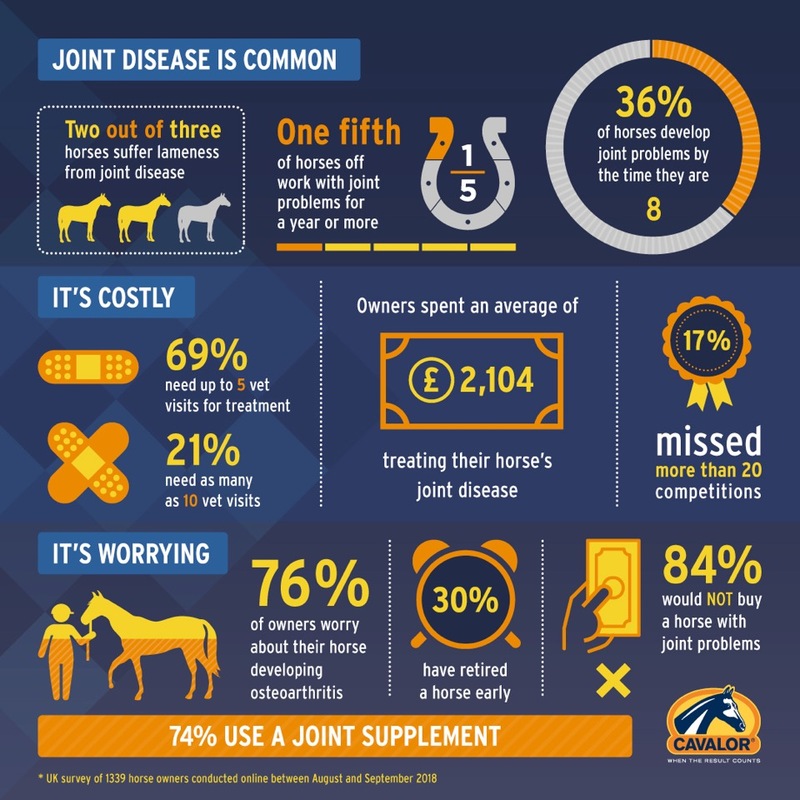 On a more positive note, a large majority of horse owners recognise they can help support their horse’s joints with 74% giving their horse a joint supplement. They also keep a careful eye on their horse’s legs with over two-thirds (69%) checking them daily and 90% implementing post-competition leg care measures.